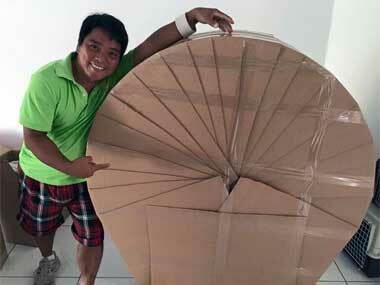 Dubai Villa & Apartment Packers and Movers. Over 3000 successful moves completed in Dubai over the last five years. Our dedicated team take a personal approach to each move. All our guys are full time employees of Mac Pack, we never use sub-contracted labour. We only use our own fully covered moving trucks. Although most of our moves are for Dubai based customers, we can also move you to another Emirate . We treat your furniture and household contents with great care. Our lovable Kiwi MD Rick McIntyre overseas each and every move. 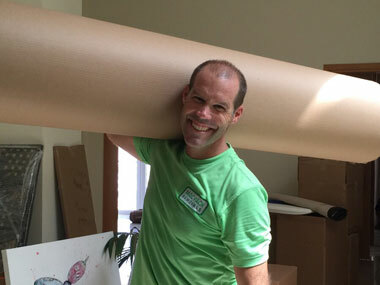 Rick is on hand during your move day to handle any issues or problems that may arise. 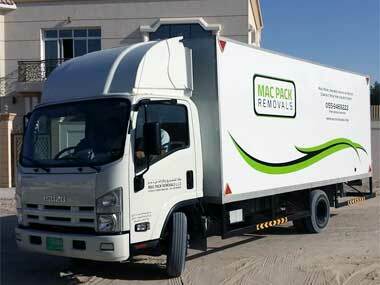 Our moving team are all experienced packers & movers employed full time at Macpack. We don't use sub-contracted labour on any moves. Our enclosed trucks are designed for the job ensuring your furniture and household contents are fully protected during the move. While Alix Capper-Murdoch was hard at work messing around in cars on a film shoot - I thought I'd move house. Minor issues with security staff who were as bright as a 2 watt bulb, but thanks Rick McIntyre for a flawless job - the lads were absolutely fantastic  If you're thinking about moving then Mac Pack receive my unequivocal recommendation. Absolutely amazing job by Kiko and the Mac Pack team: Fast, Professional and couldn't do enough to help you. If you are moving these are the team for you. Great job guys and thank you!